Welcome to the Edge Body Boot Camp Members’ Area. First off, while we have you here, we just wanted to say thank you. We wouldn’t be where we are now, living our dream of helping our community live stronger, healthier, more confident lives, without you and the rest of our members. So, again a HUGE thank you from all of us! In the members’ area, you’ll find Edge Body Fitness eBooks, an awesome Friends and Family Deal, and ways to share your Edge Body experience which will help us grow our fitness community. 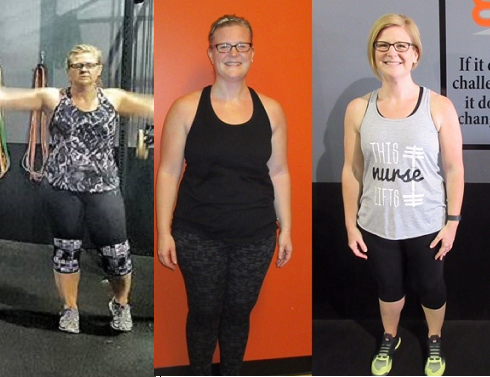 We’re committed to making your fit lifestyle and experience at Edge Body as fun and empowering as we can so let us know if there’s a topic for an eBook you’d like us to add to this library that you believe would help others like you. Enjoy! Do you have a friend or family member who might be a good fit for the Edge Body Boot Camp family? We’ve got a special Friends & Family deal for you! Click the button below to refer a friend or family member and to learn more about how it works. Are you enjoying your time in class? Loving the work you’ve done with our team of trainers? Let others know with an online review and help us get the word out and welcome new members into our fitness community! If you’re new to the Edge Body, please introduce yourself in our private Facebook group. Our members and team would love to know a little bit about you, the newest member to our fit fam. Our Facebook group is a fun place for us to connect, share experiences, triumphs and success. Engagement and contribution is highly encouraged. See you there! Need to put your membership on hold? Click here to fill out the paperwork. I agree to the $10 hold fee to place my membership on hold for the duration I selected. We are sorry to see you are considering cancelling your membership with us. We would love to help you continue reaching your goals but understand some times we need a change. I understand that my membership will be canceled 10 days from the date this form was submitted and that I'm agreeing to any early cancellation fee that my current contract qualifies me for that was explained both above and in my membership contract.